Is there a day and time this week that works best for you? To make your family dental experience as convenient as possible, Crabtree Valley Dental accepts most major insurance plans. We also offer a Smile Savings Plan if you do not have dental insurance. It’s a convenient alternative to dental insurance with no maximum, no wait period and no deductible. We recommend that you ask one of our team members for specific information about your policy or our Smile Savings Plan before initiating treatment. If you don’t see the name of your insurance provider listed, please be sure to let us know. We are always adding more providers to our service list. All co-payments are due at the time of treatment. As a courtesy, we are happy to file your insurance claims for you. If you have any questions about our payment policies or practice procedures at any time, please do not hesitate to contact us at 919-985-7300. 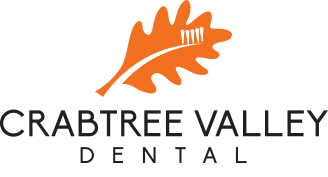 2019 Crabtree Valley Dental. All Rights Reserved.